The seismic retrofit industry has no retrofit building codes, no special licensing, and no special training for building departments. The industry is completely unregulated. Building departments approve plans and work without considering whether the work will resist earthquakes. As a consequence both engineers and contractors literally make things up. Homeowners cannot rely on a building code or special licensing for contractors to protect them. At a minimum you want the contractor to use Standard Plan A, which is taught in the City of San Leandro retrofit training class and is used numerous Cities such as San Mateo and Hayward, no matter how deeply flawed it is. At least it has some rationality. The key to a good retrofit is enough education so you understand everything in your proposal and do your own inspections. No one will do a better job than you will and the overworked well dressed inspector is not going to give you what you need. The only time the permit issue comes up is upon time of sale. You must disclose all work done without a permit. In the retrofit world a permit does not mean anything. The buyer will hire a private home inspector. The result of this inspection is important to a buyer. 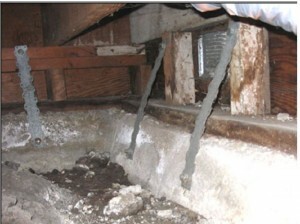 Home inspectors know full well that permitting makes no difference in terms of the quality of a retrofit. They know that with or without a permit, contractors and engineers do whatever they want. Home inspectors look to see if the work will protect the house. Unlike most city building departments (the City of San Leandro being the one exception), private inspectors will have the time and hopefully the expertise to evaluate the effectiveness of what they actually see. There are no retrofit building codes for building departments to follow. They don’t care if you bother with bolts, leave out the plywood, or use the wrong plywood. You can use hardware that is meant for hurricanes rather than earthquakes. You can install a retrofit that has no ability to resist an earthquake. 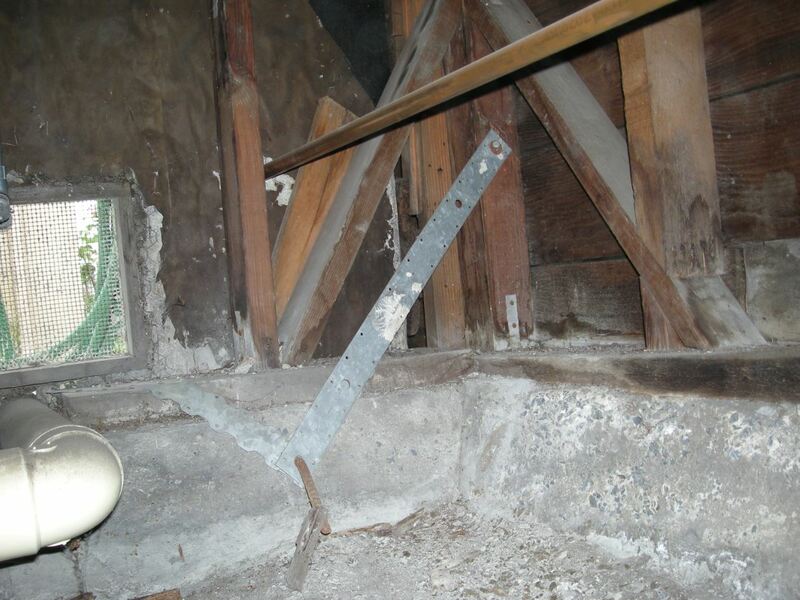 In spite of this, some building departments require “special inspection” for retrofit work. Special inspectors are used because City inspectors often have 15 inspections to do a day, excluding necessary paperwork, and simply don’t have time to do an adequate inspection, even though they don’t care what you do. Nor are they properly dressed to crawl under a house. Special inspectors usually charge $650 which, along with the $450 we charge for taking time out of our day to meet them, will add another $1100 to the cost of your job. Usually only one inspection is required, but sometimes two. For example: even though building departments don’t care if you put in bolts, if you show bolts on the plans many cities require that you hire a special inspector to make sure all the bolts are tight. Which is ridiculous given that new bolts in new houses become loose within a month as moisture in the bolted wood evaporates and the mudsill shrinks. Loose nuts on bolts don’t matter because they are used to resist lateral forces pushing against the side of the bolt and it does not matter if the bolts are tight to do this. We use impact wrenches on the nuts because it is faster and we never know when a special inspection will be required. Nails 4″ apart can resist 430 pounds of earthquake force per foot, whereas nails spaced 2″ apart can resist 870 pounds of earthquake force, making the retrofit twice as strong. In Oakland and some other other cities, if nails are spaced less than 4″ apart as shown by the blue arrow, a special inspection is required. Plywood nailed in this way can resist 400 pounds of earthquake force per linear foot. We have never understood why a special inspection is needed when the only thing the inspector does is stare at the nails and report that the nails look O.K. Really, what would a nail look like that was not OK? Putting nails 4″ apart creates a plywood connection only half as strong as if they were 2″ apart. 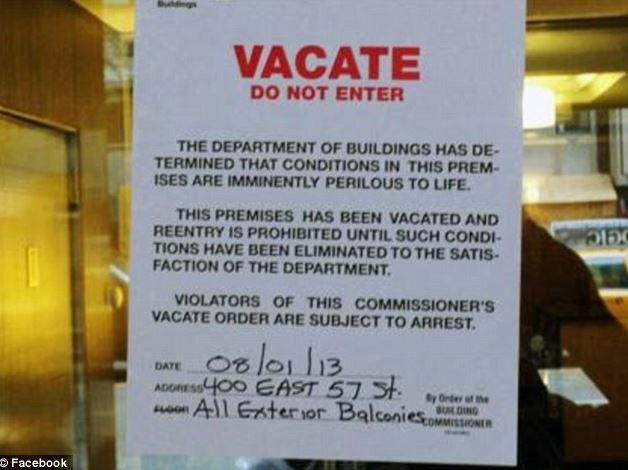 In other words, the building department is making sure your retrofit is half as strong as it could be! 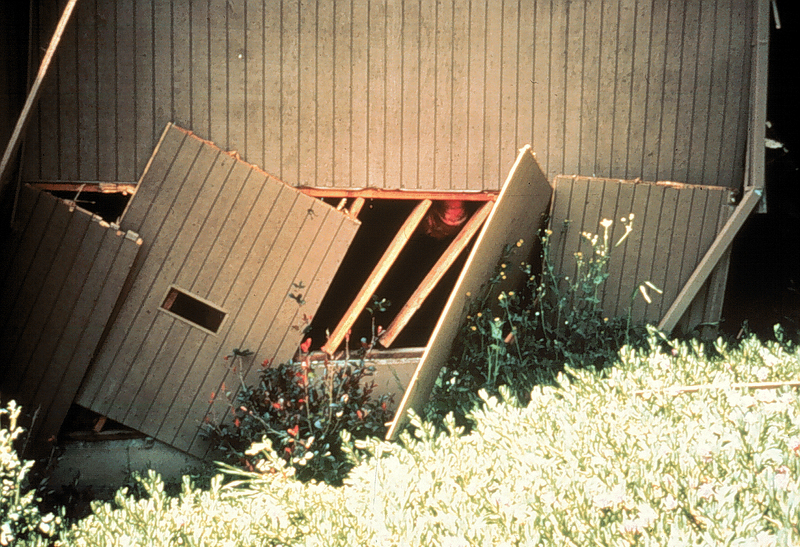 Any rational building codes developed in the future will require plywood be nailed 2″ apart. This creates retrofits that are both stronger and cheaper. If you pay for a special inspection we can go ahead and put the nails less than 4″ apart. If you want a better retrofit you will need to pay another $800 for our time to properly nail it at 2″ apart after the inspectors are gone. This will be paid along with the Special Inspector’s fee. You might want to think it over and not get a permit at all. Building permits do not mean anything. However, you do need some kind of documentation. Future home buyers will want this. Upon request we provide photographs of our work. This, along with the plans and narrative report we provided you with your proposal, is far better than any documentation a building department will give you. The private home inspector will want to see this. We also make sure and install inspection holes at bolt locations so bolts are visible behind the plywood. All of these things are far more important to a buyer than a permit. It is impossible to get in trouble for not following non-existent retrofit building codes. It is, however, important to make sure retrofit contractors have workers’ compensation and liability insurance. You can find out if a contractor has workers’ compensation insurance by going to this website. It is not illegal for you to hire a contractor who does not get a permit. Any fines will fall on the contractor, not on you. 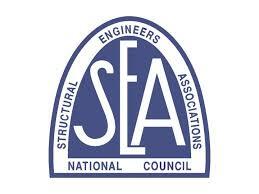 Seismic retrofitting is an unregulated industry. Contractors and engineers do not need any special licensing or education. Retrofit guidelines, which are purely voluntary and not codes, such as Standard Plan A, and Appendix Chapter A3 of the International Existing Building Code, have proven to be hopelessly outdated, impractical, and needlessly expensive. As a result, contractors and engineers often, and quite literally, “make things up” when designing a seismic retrofit. We did a seismic retrofit on an apartment building in Oakland. At the final inspection an inspector with 20 years experience simply signed the permit card and jumped in his truck saying “Crawling under there is a waste of time because there are no retrofit building codes for me to follow.” This was in spite of the fact that the apartment owner paid the City of Oakland $1100 for a building permit. In another incident in Berkeley, we forgot to do a bolt inspection and had covered them up with plywood. The inspector would not sign off on the permit because we needed a bolt inspection. We asked her what we should do. She said “Go back to the building department and take them off the plans. When I see that, I will sign off on the permit.” So you can’t count on the contractor, the code, or the building department that have no retrofit building codes to follow. It is up to you to learn all you can, just as you would if you were getting ready to buy a new car. The effectiveness of your retrofit has nothing to do with whether or not you got a permit. Building departments will keep a record of the permit, but what is that record actually worth? Inspectors normally have 15-20 inspections to do a day, which comes out to about ten minutes to do an inspection, including their paperwork. They don’t have time to do anything beyond shining a flashlight into the crawl space, let alone spend a few hours checking for quality work. Customers complain building departments don’t do their job. They say “I gave them a ton of money and he didn’t even look!” The building inspector answers “Why should I? I cannot tell you anything no matter what I see.” They have no code to implement, therefore they only document the presences of something, rather than what it will do. The building inspector can’t offer you much in terms of evaluating your retrofit, but may cite you for code violations or work done without permits s/he sees elsewhere in or around your house. Building departments won’t even issue permits that mention “seismic retrofit” or “earthquake retrofit.” Such wording might make people think the building department checks to see if the work would resist earthquakes. They only accept wording like “voluntary seismic upgrade” or “install hardware and plywood.” They don’t want anyone coming to them later and saying “Hey, my house fell down! You issued a permit for a seismic retrofit and you obviously did not do your job.” The City will say “Look at the permit record. It says you wanted to install hardware for earthquakes. Who are we to interfere with your desire to do this?” This shields them from liability. A company that claims their work is superior because they get a permit is just as likely to install hardware that has absolutely no value. In Palo Alto they won’t even issue a permit for a seismic retrofit. They don’t want to charge their citizens for work that they have no way of evaluating. Palo Alto has enough money so they don’t need the income permits bring in. Santa Rosa tells its inspectors not to crawl under houses, period. San Francisco does not ask for plans and does not allow the permit to mention earthquakes or retrofitting in any way. San Francisco does not even require plans. You can just say “I am going to put in some shiny hardware.” They are happy if you leave out the bolts and don’t care if you put them in. Just don’t call it a “seismic retrofit.” No matter what you do or not do they will still issue a permit. We install highly engineered soft story retrofits in San Francisco. These include engineering calculations that cost the client $5,000. The building department only allows us to say “Install Steel Pole” on the permit. This is how the building department avoids responsibility. When homeowners sell the home they want to tell buyers about the retrofit. Instead all they can do is show them a permit for the installation of a steel pole. Remember, the building department that issues the permit does not care if the work resists earthquakes. The Contractor’s State License Board has no special licensing for retrofit contractors. Building departments will let anyone do it. You cannot rely on the building code because there isn’t one. You can only rely on the professionalism of the individual contractor and your ability to evaluate their professionalism. This website will help you with this. Please remember that seismic retrofitting is simple, in our opinion, once it is broken down into its 3 main components. Educate Yourself! Many “experts” in retrofitting are not experts at all. Retrofit “professionals” require no special licensing or training and are all self-certified “experts.” Prior customers will tell you if the contractor was friendly and cleaned up. They do not know if they did it right. You must research the subject yourself. You will then understand what your contractor is planning to do and why. Ask questions. The contractor needs to explain to you the reason for each part of the retrofit as the job progresses. It should make sense to you. If not, have them keep explaining it until it does make sense. Document each phase of your earthquake retrofit. Make sure you get a floor plan that shows what they did and where.